Escape the daily grind and take a break from the logged on world by heading into nature and the great outdoors. Find calm in a national park, up a mountain, at a remote jungle retreat or by learning the art of sustainability. Check out our selection of ways to go off the grid in Thailand to relax, switch off and unwind. Located just three hours away from Bangkok, Khao Yai (a UNESCO World Heritage Site) was established in 1962 as Thailand’s first national park and is the third largest national park in Thailand. The national park includes evergreen and rainforests, grasslands and mountains, and it’s home to elephants, bears, otters, gibbons and macaques as well as an array of fascinating reptile and bird species. 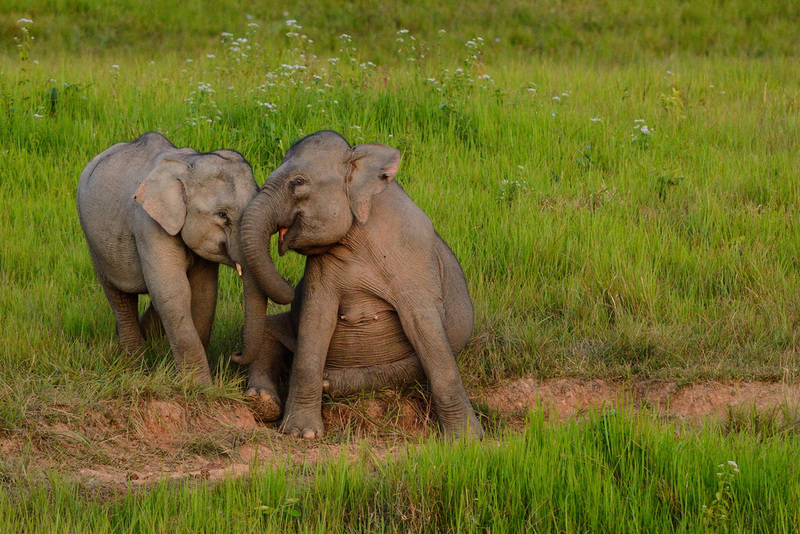 Khao Yai National Park offers plenty of accommodation options, the majority of which are lodges and camp sites. Take some time out from the busy schedule at Pun Pun Organic Farm in Mae Tang, a sustainable living and learning centre well off the main tourist trail. Take some time to learn about the farm’s philosophy, seed saving, adobe building, organic farming techniques and self-reliant sustainable living. Pun Pun also makes its own products, including kaffir-lime shampoo, soaps, nut butters, seasonal jams and dried bananas in collaboration with local villagers. 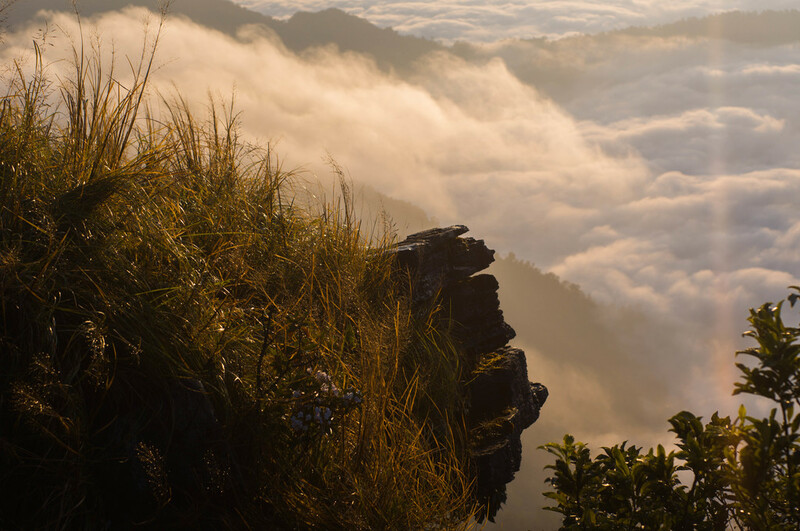 Known for its natural beauty, Phu Chi Fa Forest Park offers exceptional views of the surrounding mountains and valleys, so rise and shine early to climb up Phu Chi Fa mountain and watch the sunrise over the valley and mist below. The park is also a great place to spot wildlife including barking deer, wild boars, canaries and magpies. Consider staying at the Phatang Hill Resort, which boasts stunning views and delicious home-cooked meals. The Sanctuary is located on Koh Phangan, a beautiful tropical island nestled in the remote jungle of Haad Tien Bay. This all-around centre of goodness is where hundreds of people come each year to check out of the rat race and into rebalancing the mind, body and soul. On offer at the retreat is a selection of accommodation options, delicious health food, detox programmes, yoga teacher training workshops and more. Between Chiang Mai and Chiang Rai is the Khun Chae National Park. For an immersive cultural experience stay at Lime Leaf Eco-Lodge, overlooking a breathtakingly beautiful valley. This unique gem is run by Winai and Noi, who cook up delicious meals in their home, which also doubles as the main living area. Facilities include limited solar lighting, wood-fire cooking, a spring-fed plunge pool, a pool table and a nearby swimmable waterfall. Winai and Noi are delighted to share their knowledge of the area and introduce guests to friends of the Black Lahu (Mhuser) hilltribe. The area is ideal to switch off and relax. For those looking for a little more adventure, there are plenty of activities to partake in like hiking, bird-watching or going on a Sherpa-led expedition into the jungle to learn about different plants, medicines and foods that can be gathered. 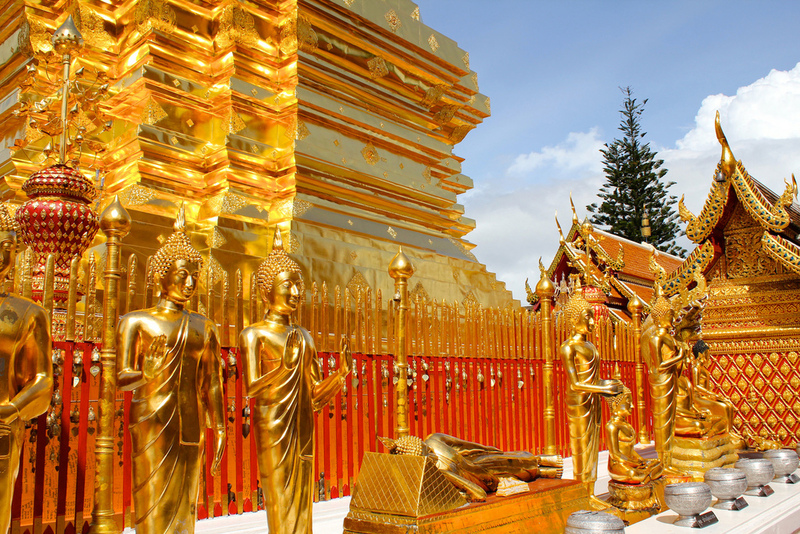 For the ultimate off the grid adventure, check into a vipassana meditation retreat at Wat Doi Suthep’s International Buddhist Centre in Chiang Mai. The centre caters to both beginner and experienced students and offers a selection of courses varying in length from four to 21 days. The courses are run on a donation basis, and it is advised to book in advance to ensure a spot. Nestled in the mountains in Chiang Rai Province and close to the border of Myanmar lies Doi Mae Salong. The mountain was home to a Chinese military division settlement and is also home to numerous hilltribe communities. 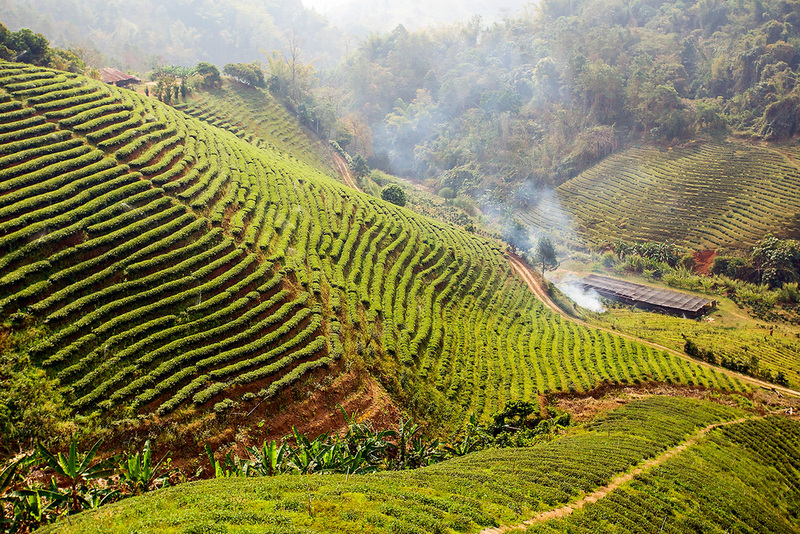 Mae Salong village offers plenty of guest house and homestay options from which to explore the nearby tea plantations and houses, which offer world-famous teas grown in the region, and enjoy the stunning landscape. Mae Salong is especially popular November through February with Thai tourists as they seek out to experience ‘cold weather’.